In Indonesia, the fruit is called Lengkeng. has the Latin name Dimocarpus longan is a tropical fruit that is very common in Southeast Asia, especially Indonesia, the plateau is the habitat of this plant growing. This fruit is a hallmark of crowding, brown to black color of his skin and rough surface, the fruit has a lot of water and a strong and sweet flavor. Longan contains fat, sucrose, protein, vitamin A, vitamin B, glucose, tartarik acids and chemical compounds (phytochemicals) that is nutritious for health. Longan also makes the intestine to be healthy and make a better stomach to absorb food, the fruit is also able to cope with worms in the stomach, vaginal discharge, treat headaches and hernia. Another benefit is the root of longan tree can be used as a laxative urine and improving blood circulation in the body. The leaves are also useful as anti-inflammatory and fever reducer heat. 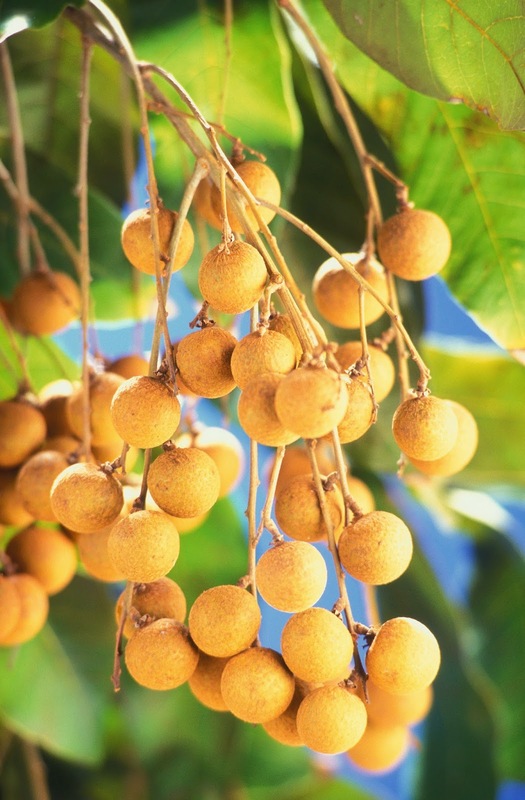 Longan seed could be useful to stop the bleeding and reduce pain. some research also prove very much litchi fruit seeds contain saponins are commonly made ​​as shampoo.